Tigger, the epitome of fun and friendship is portrayed delightfully in this charm. 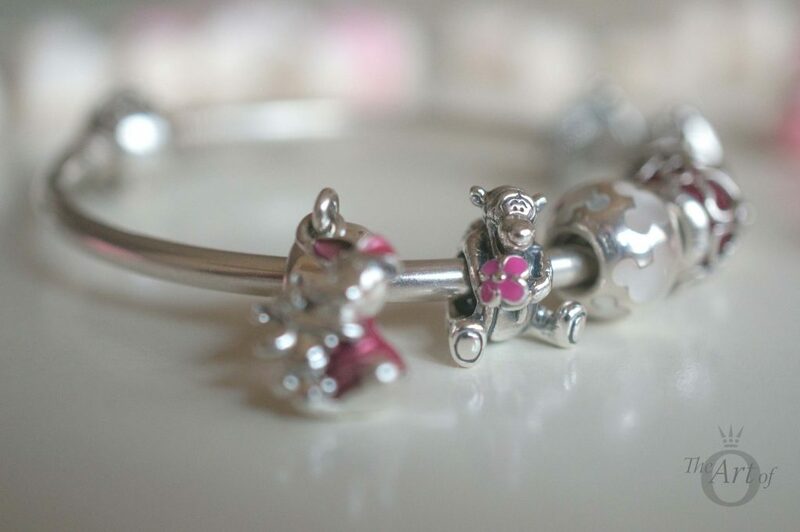 As a Winnie-the-Pooh fan, the PANDORA Tigger Charm (N0. 792135EN80) from Disney was a must-have from the PANDORA Disney 2017 Spring Collection. 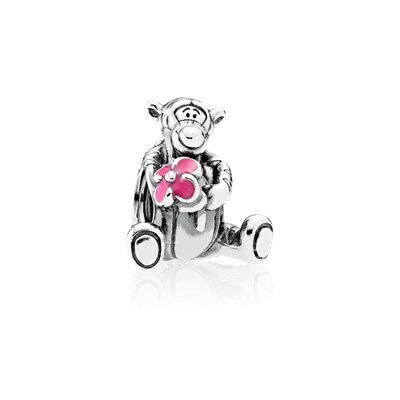 The PANDORA Tigger Charm is so cute captures Tigger’s loveable expression perfectly. The original drawings for the Winnie-the-Pooh stories were by E H Shepard. After Disney bought the rights to A A Milne Winnie beloved Winnie-the-Pooh, some of the characters altered a little. In the E H Shepard’s illustrations Tigger is mostly seen walking on four feet but the Disney mostly features him walking or bouncing on two feet. 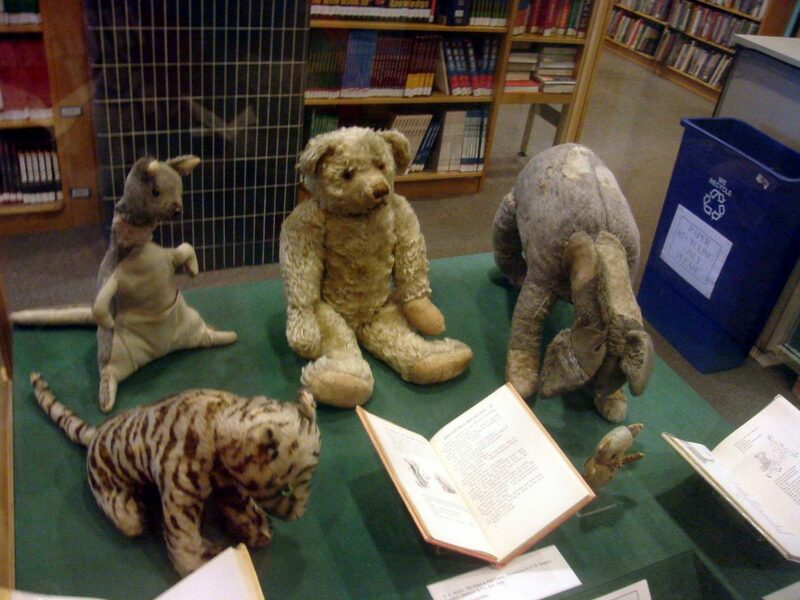 E H Shepard based his illustrations on the real stuffed toys owned by Christopher Robin which featured in the Winnie-the-Pooh stories. 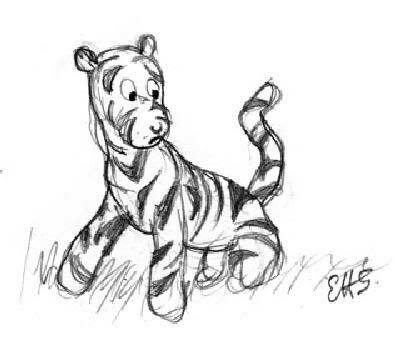 The orange colour and dark stripes are similar in both Shepard and Disney versions of Tigger. 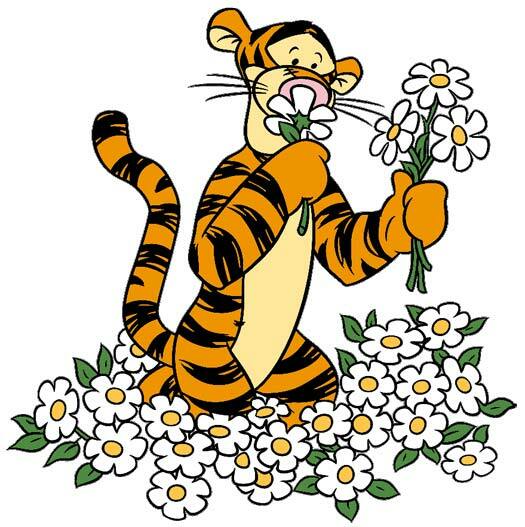 These days the Disney interpretation of Tigger is widely recognised, with distinctive orange and black stripes, large eyes, a long chin and of course a springy tail for bouncing! 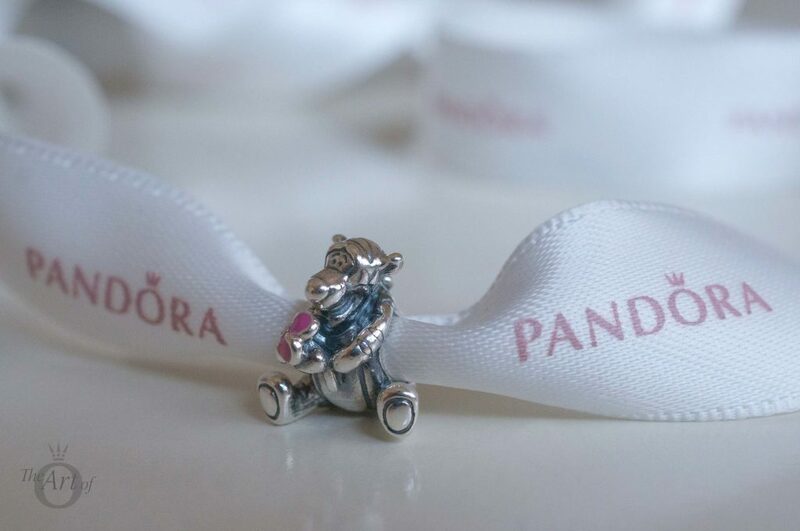 The PANDORA Tigger Charm features Tigger in a seated pose, which holds true to E H Shepard’s illustrations, whilst the long nose and eyes are more similar to the Disney version of Tigger. Er, jump? Tiggers don’t jump, they bounce. 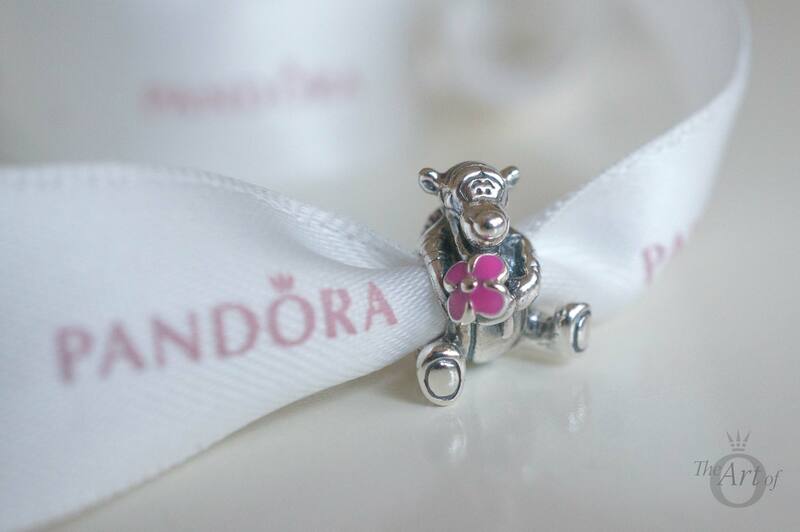 Like the PANDORA Eeyore Charm, the PANDORA Tigger Charm has a pink enamel detail. The pink enamel on Eeyore’s Bow and Tigger’s Flower is a slightly different shade, which you can see in the styling images. 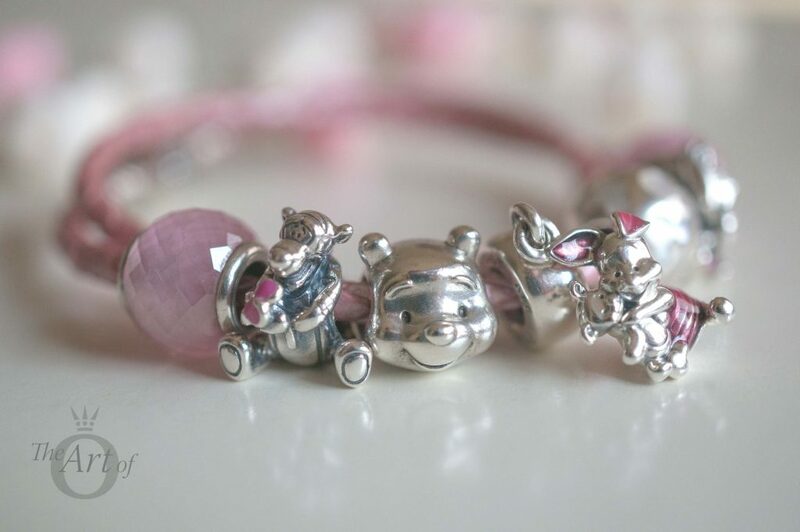 The PANDORA Tigger and Eeyore Charms are very similar in size and weight. 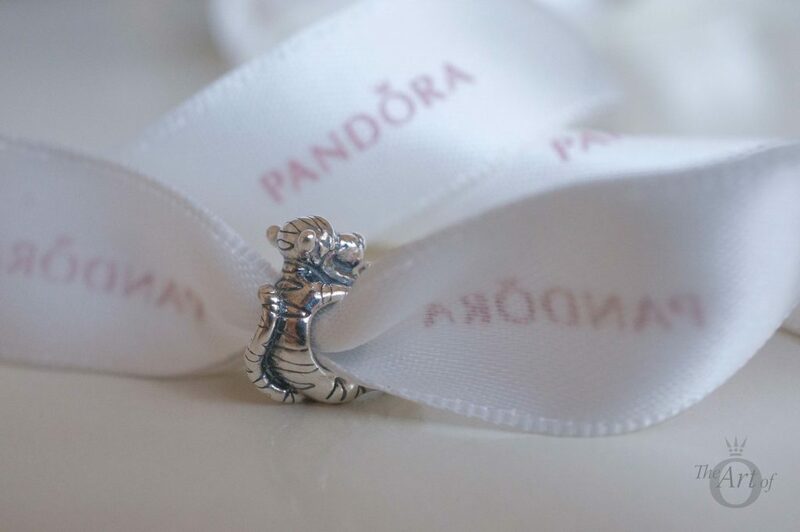 The PANDORA Tigger Charm is a threaded charm, and as such is relatively heavy for its size. 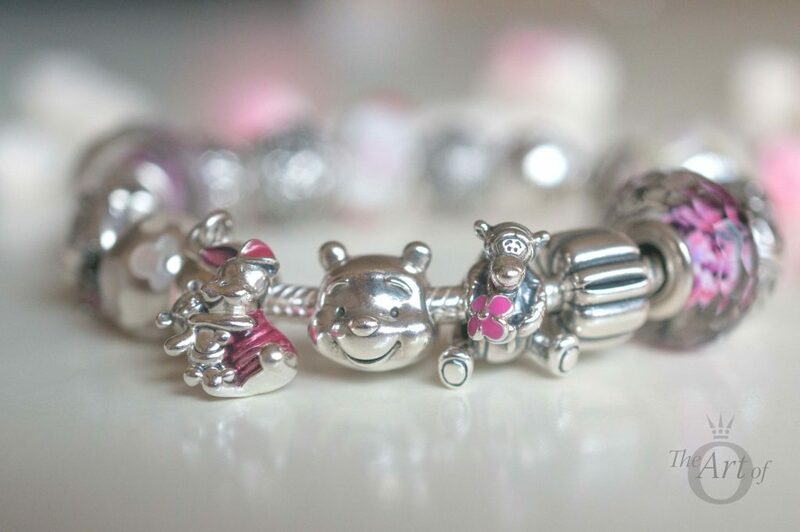 The detail on the PANDORA Tigger Charm is really quite incredible! The stripes go all around Tigger’s body. On close examination of the Tigger Charm, I feel that the PANDORA design is spot on and that PANDORA were faithful in his representation. Tigger’s long, stripy, tail curves up his back in a playful manner and when you look at it, you can feel an adventure is about to happen! 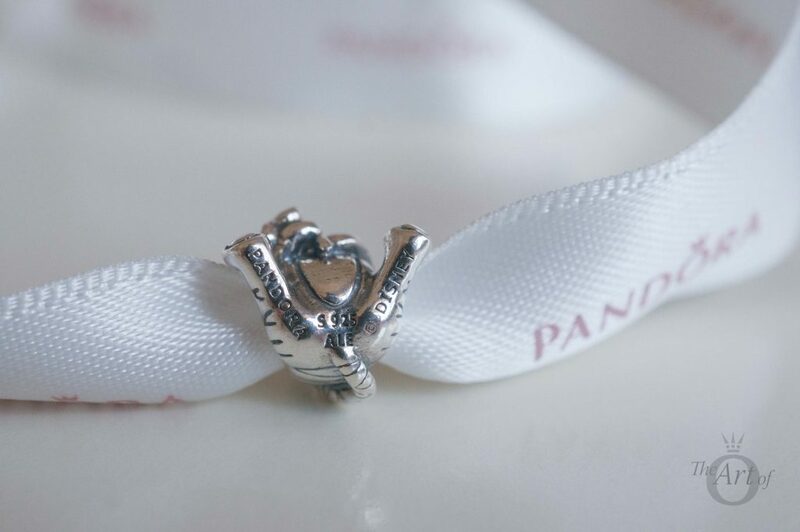 The PANDORA and Disney hallmarks are on bottom of the PANDORA Tigger Charm. The Tigger Charm sits quite nicely on the bracelet and you don’t notice the hallmarks when wearing the charm. If you read about my last PANDORA haul you will know I bought quite a few PANDORA Disney charms in the last PANDORA promotion. In this styling I used my sparkly new PANDORA Disney Mickey Clasp Bracelet (No. 590512cz) and created a Pink and Green Disney theme! I really love this design as it is pretty and playful and with the Magnolia Bloom Clips it has a Spring element too. I used all four of my Winnie-the-Pooh characters: Piglet, Tigger, Pooh and Eeyore. 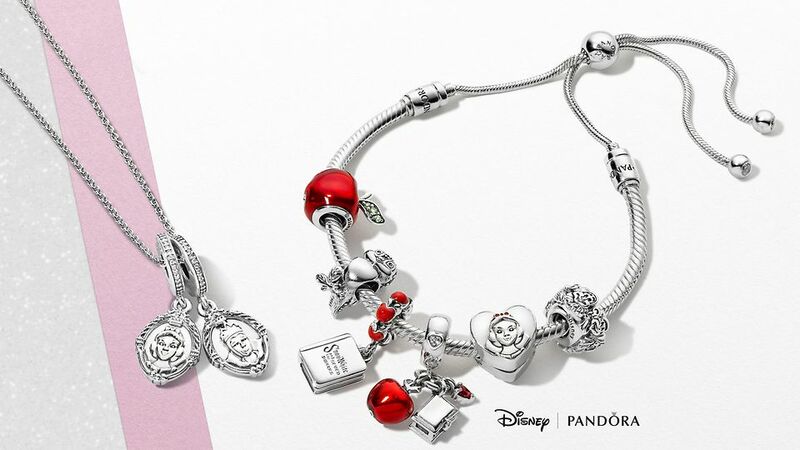 You will also notice the new Donald and Daisy Duck charms, Mrs Potts & Chip and Tinker Bell’s Dress all from the PANDORA Disney Spring 2017 Collection. Life is not about how fast you run or how high you climb but how well you bounce. 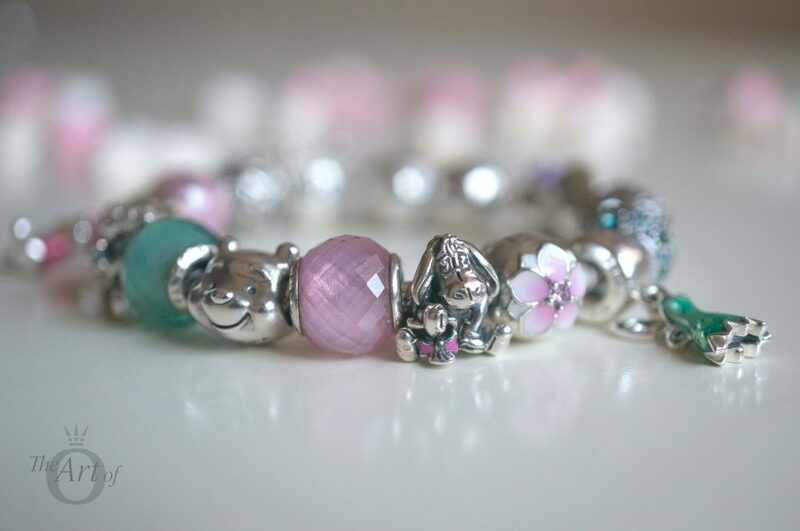 I love my PANDORA designs to be symmetrical and in this design have the PANDORA Disney Piglet Charm in the centre with Eeyore and the PANDORA Disney Tigger Charm at either side. I also used the Pearlescent Mickey Silhouettes Charm (No. 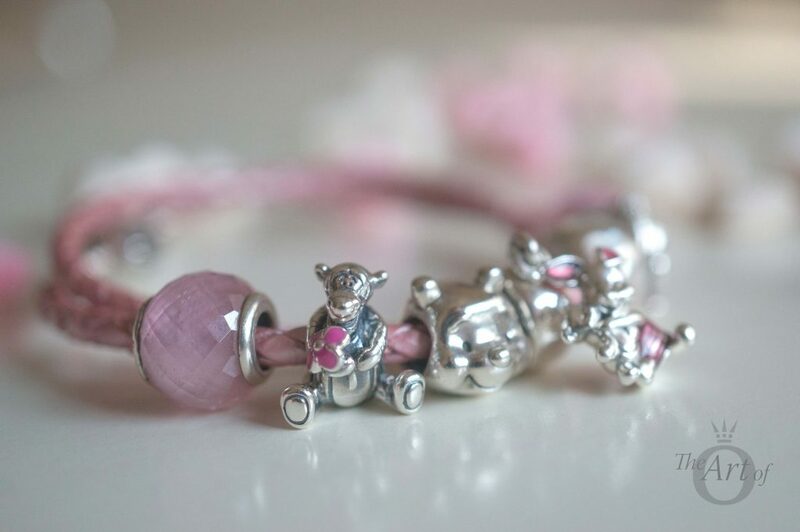 791818mop) to create balance with the Pooh Portrait Charm (No. 791566). The Shoreline Sea Glass Murano Charms (No. 791608) compliment the pink enamel of Tigger’s flower and Eeyore’s bow. If you don’t already have the Sea Glass Murano Charms I recommend you add them to your collection soon as they so versatile! They are retired in some countries but are still available from BeCharming.com. As soon as I saw you, I knew an adventure was going to happen! 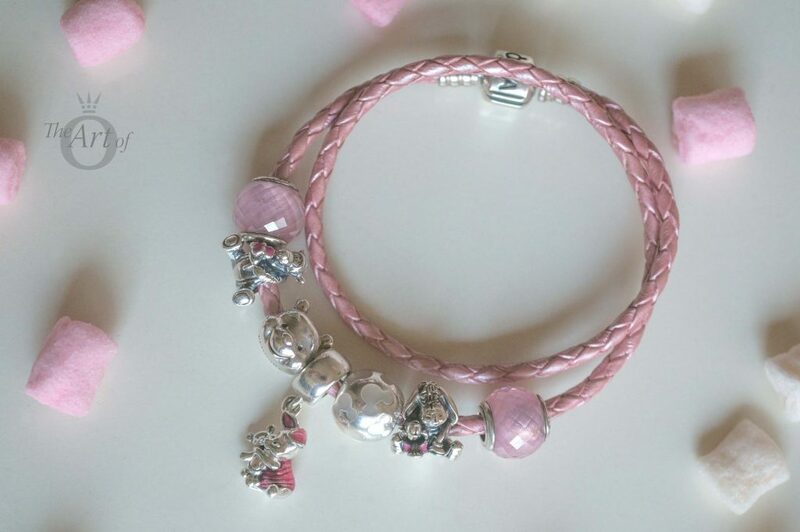 In my third styling I highlighted the fuchsia flower of the PANDORA Disney Tigger Charm with the Orchid Pendant and the Cerise Encased in Love Charm. Once again I used the Pearlescent Mickey Silhouettes Charm to create balance with the Pooh Portrait Charm. I really love this style as it is bright and fun yet quite simple and easy to wear. The PANDORA Leather Bracelets are perfect for Spring and Summer or when you want a more relaxed look. I used the Pink Double Leather Bracelet (No. 590705cmp-d) with the PANDORA Disney Tigger Charm for a softer look. 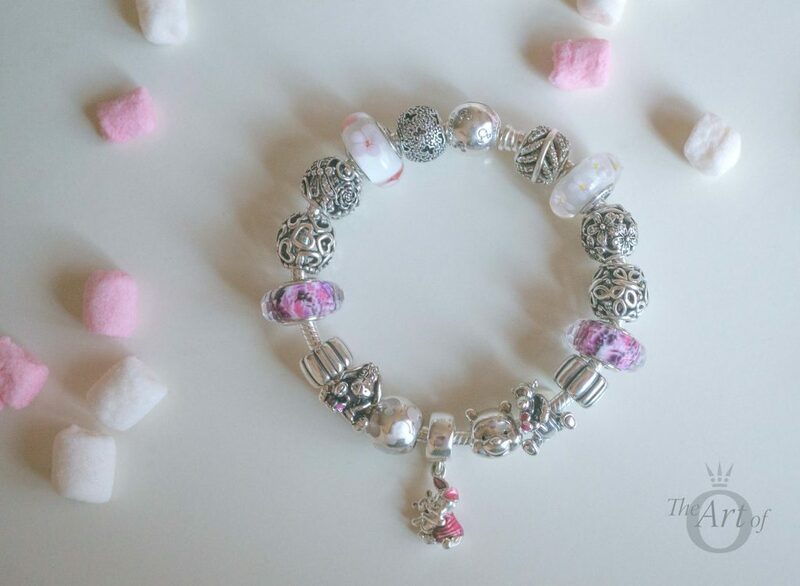 The Pink Petite Facets and the pearly shimmer of the Pearlescent Mickey Silhouettes Charm make this quite sweet and delicious design. I think we dream so we don't have to be apart so long. If we're in each others dreams, we can be together all the time. 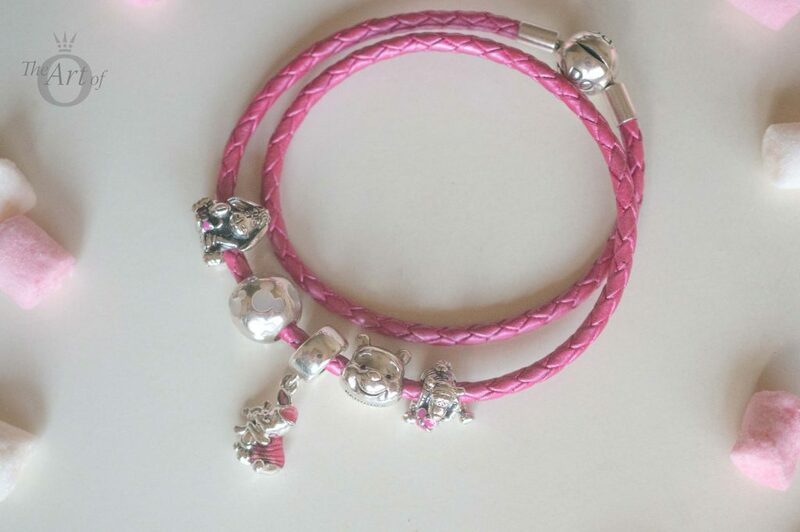 For a more vivid style, I used the Honeysuckle Pink Double Leather Bracelet (No. 590734chp-d). 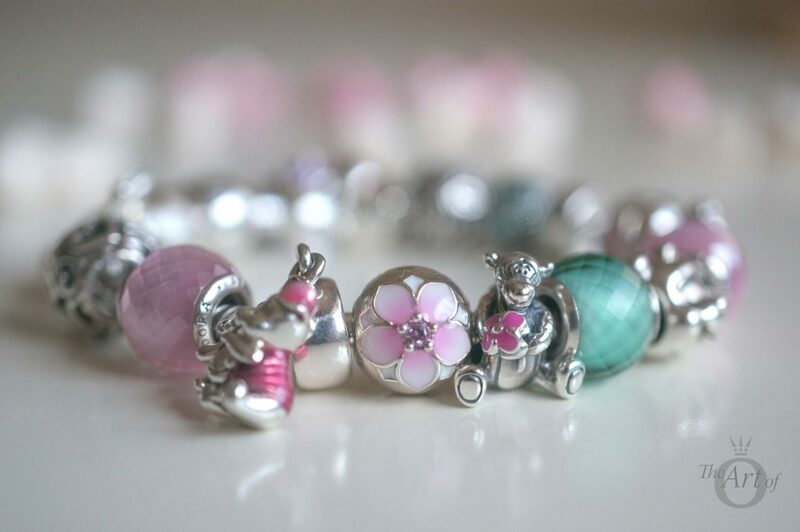 The Honeysuckle Pink is perfect match with the flower on the PANDORA Disney Tigger Charm. Tigger is a popular, loveable character and his PANDORA charm is no different. The beautifully detailed design, the carefully sculptured face and body of Tigger make this charm adorable. Good value at $50 dollars. 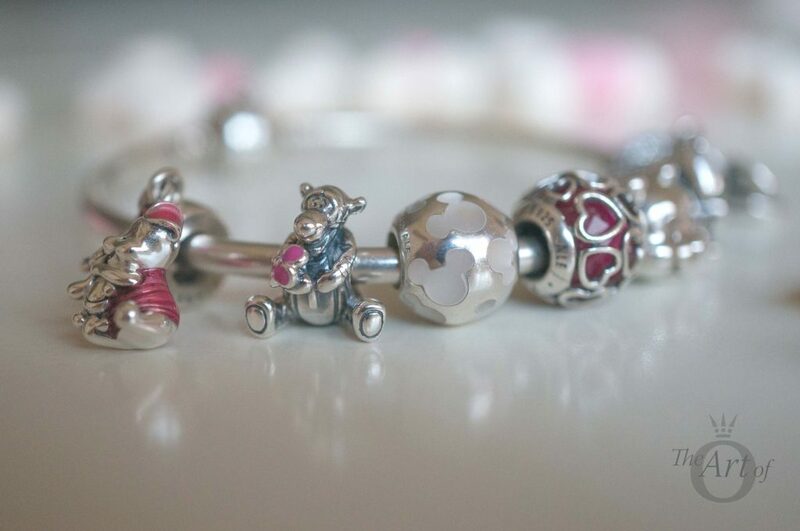 The PANDORA Disney Tigger Charm (N0. 792135EN80) is $50 and is available from our preferred retailer BeCharming.com along with the rest of the PANDORA Disney 2017 Spring Collection. 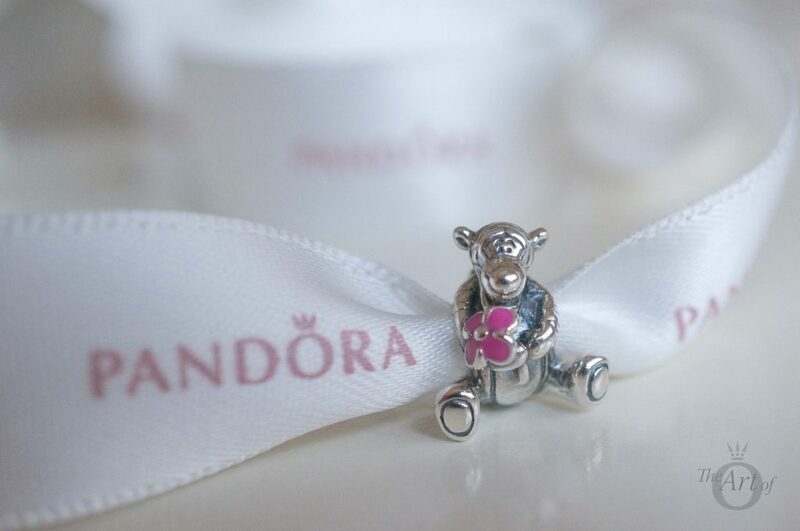 Do you have the the PANDORA Disney Tigger Charm or is it on your wishlist? Let us know how you style it in the comments below. I love my Tigger charm, he is just so detailed. I’ve put him with my Eeyore, Pooh bear head portrait, white rabbit and mickey all around spacers and I haven’t decided on clips yet and what else I want to put with them. Thank you! Tigger is really adorable isn’t he?! Your design sounds really cute. I will mostly wear my Winnie-the-Pooh charms together too. Keep an eye out for more designs on Winnie The Pooh Wednesday’s! Beautiful stylings, pink and green go well together. I adore Tigger! He is a witty one! Thank you! I was really happy with the pink and green combination too! Tigger is a gorgeous charm, I definitely recommend him ? Thank you for your kind words! 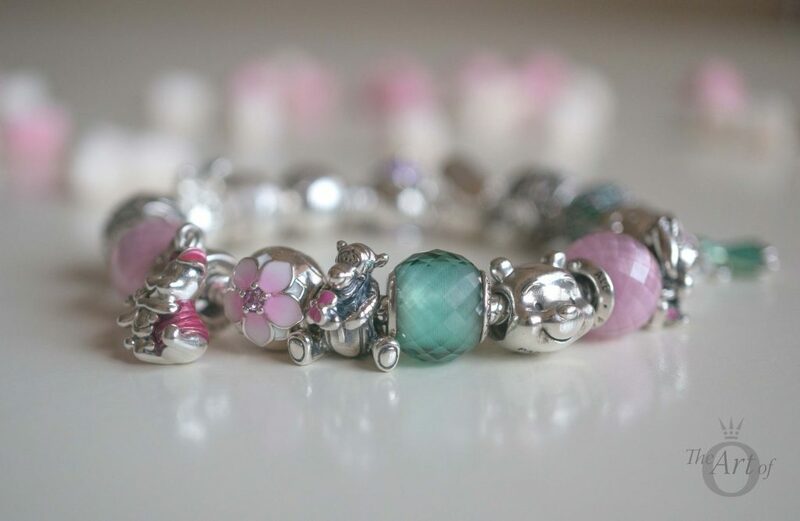 Your idea for a design using the Pink Mickey Murano sounds great! I love that Murano too and hope to get it one day. The pink spacers are cute as well. Black and pink would look quite cool too, especially with the black Mickey icons in the pink Murano charms. It’s fun trying to think of different combinations. 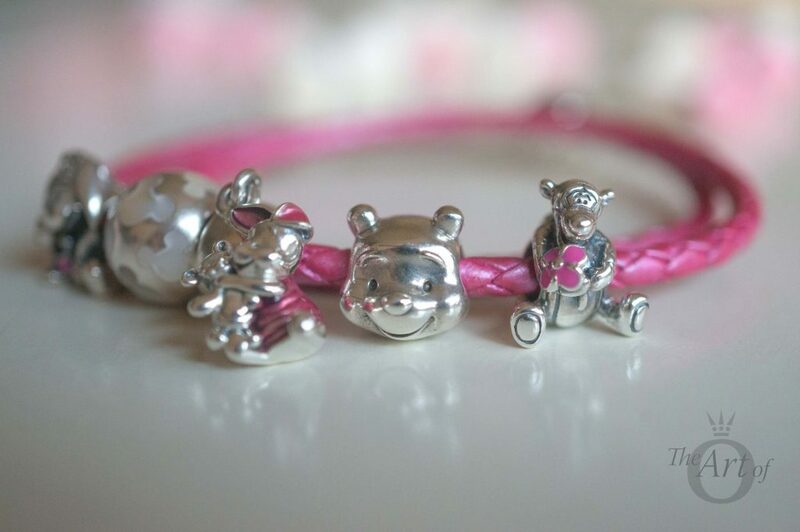 I hope your bracelet promo comes soon so you can enjoy Tigger and Piglet. Thank you so much for your vigilance. I have reported this problem to eBay and hopefully it will be resolved. 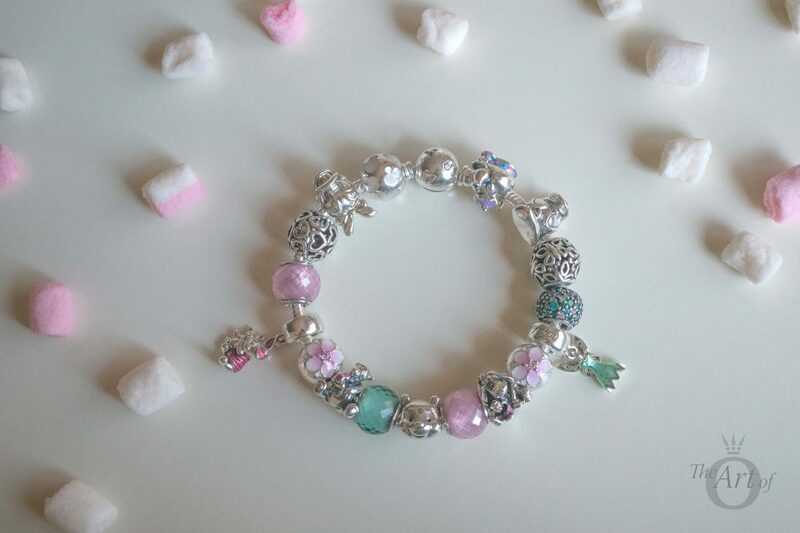 I feel really bad when I see eBay and Etsy sellers using my images as their customers believe they are buying genuine PANDORA charms. This is why I myself never purchase PANDORA from either of those sites. 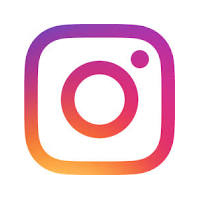 Thank you once again for your help. Have a lovey weekend!